Somerset and Chetrit had acquired the properties in 2014 and 2015 for $58 million. The group tapped Hill West Architects to design the development across the two parcels. In April, the venture decided to sell the massive site, located on the Harlem River waterfront. Todd Soloway, Danielle Schechner, and Ari Tran of Pryor Cashman represented the seller. The Mott Haven project includes two sites on each side of the Third Avenue Bridge. Originally, plans called for a 25-story tower and a 25- and 16-story building, to rise from an eight-story base, at 2401 Third Avenue. This site, which kicked off construction last year, was expected to hold about 430 mixed-income rentals and a 42,000-square-foot community space. The developers had planned to bring three 24-story buildings and a 22-story building on top of a six- and seven-story base at 101 Lincoln Avenue, the second site. Measuring a full block, the buildings would have had 849 rentals. 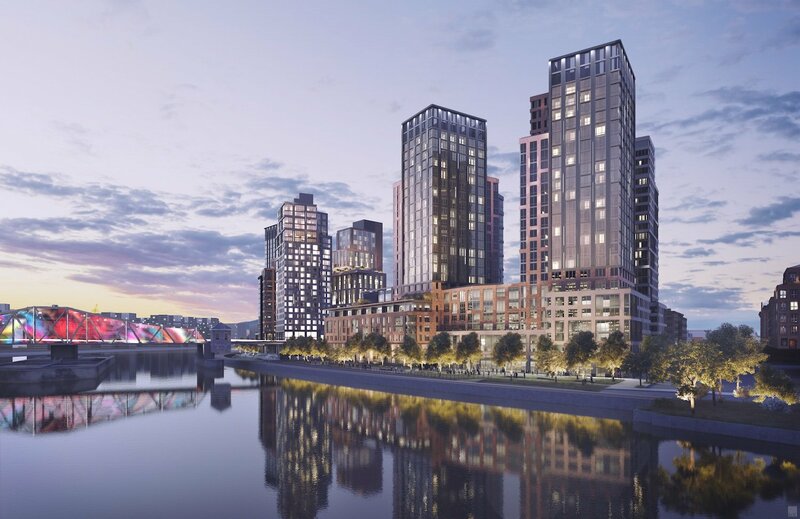 Brookfield will break ground during the second quarter of 2019.